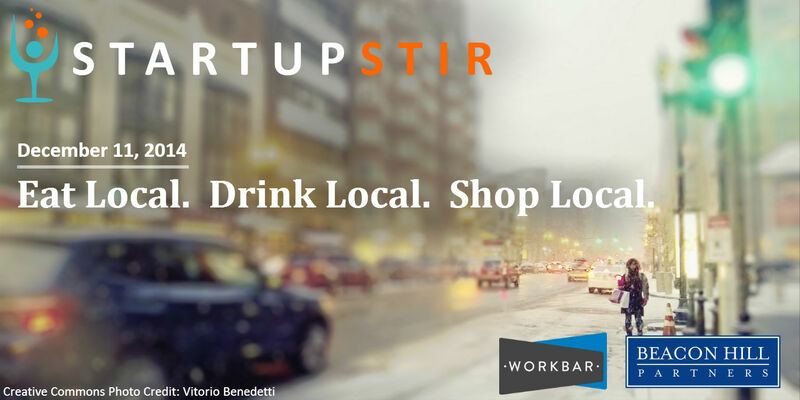 Beacon Hill Partners is excited to host a very special Startup Stir Holiday Affair – Eat Local, Drink Local, Shop Local. We’re featuring a selection of the best locally made and sold goods from the Greater Boston area. You’ll hobnob with local startup founders, browse their wares, sample local libations and have a chance to win a selection of great door prizes. Best of all, each ticket gets you $10 off a $50 purchase from any of the vendors present and heavy hors d’oeuvres from Foodler.com! Find other great events at www.CityAwake.is.